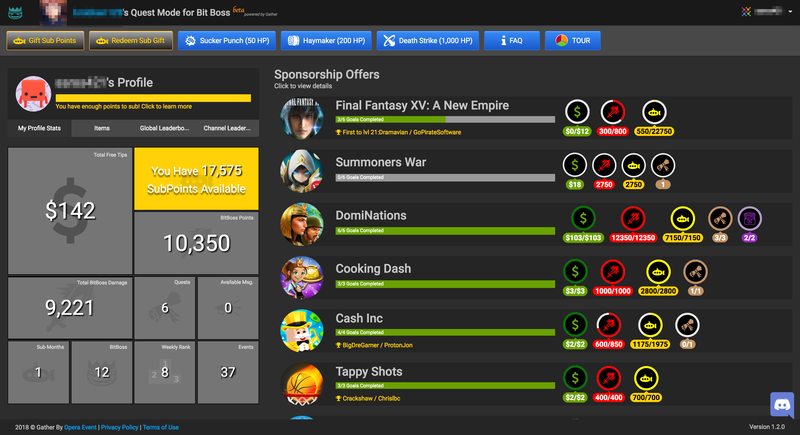 Enhance your Channel with Quest Mode - Beta Enrollment Starts Now! Free Tips, Free Subs, it's that easy! Viewers install games, use services etc. 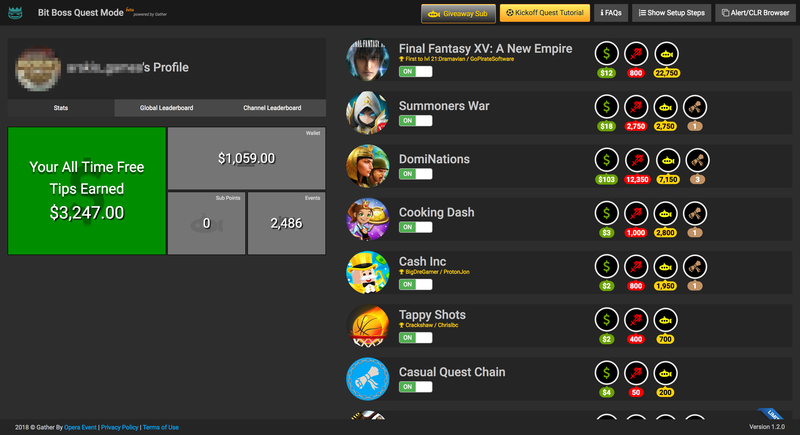 As viewers complete quests, you get extra cash. They can share their message as an alert on screen. Viewers compete on leaderboards to see who can support you the most. You get paid out in full on the 5th of every month, no fees beyond Paypal. Viewers earn Boss Battles damage points by completing in game quests. Then they spend those points in the fan portal. They can become the new Boss with effort, not money. All the while, you earn moolah. Viewers earn Sub points by completing in game quests. Earn enough points and they get or give a Free Sub of any level. They spend sub points to earn a sub, or gift to a friend. All the while, your community grows, and you earn moolah. Success! Thanks for signing up !